Roger and I are INFP, Bree is Brave, and We All Have Choices Before Us… A Reflection on Outlander 4.12 “Providence” – My Outlander Blog! As I watched Roger Mckenzie escape the “idiot” hut it became immediately obvious what was going to happen. His body language, his desperate, but hollow attempts to put himself first…Oh Lord, I said out loud ….he’s just like me…he’s going back. If your are unaware of what INFP stands for simply put, it is one of 16 personality types as defined by Myers-Briggs research. I know I am an IFNP because every time I am asked to take a personality test and with my job history that has been more than a few times, I’m always identified as an INFP. The letters INFP stand for: Introversion (I), Intuition (N), Feeling (F), Perception (P). My introversion score usually falls very close to extraversion, but as I age it seems less so. I just took a test again because well…it is so INFP of me, and I wanted to be sure before I told the whole world I’m a Roger. I knew Roger was going back because we are deeply touched by pain in others and will run to defend them or offer help. I’m the person who makes a decision knowing it will cost me, but like Roger, I can’t help myself. I have to tell the truth, take the risk, right the wrong. During one of the many “droughts”, I was engaged in some lively banter with Terry Dresbach and others about what it would take to survive a Zombie Apocalypse and whether we thought we could survive (be patient, I promise I have a point). They were convinced I would survive and I knew I wouldn’t, but not for the reason you might think. Health issues aside, my survival wouldn’t depend on whether I was tough enough, I can do without and I’m very adaptable. What would trip me up every single time is empathy. I was so convinced I wouldn’t survive, I wrote a slightly humorous (well, I thought it was funny) article about the topic. I took a college religion and ethics class taught by a priest. About the third day of class, a young man asked to speak to the padre. As the two talked at his desk in the front of the room things began to get heated. The next thing I knew the young man was pushing the father and threatening him. I jumped up and got between them and started to try to drag the young man from the room. What I learned very quickly was that it had all been pretense, an experiment to show how people were afraid to get involved. The father said he didn’t think anyone would help (his teaching methods are a topic for another day’s discussion). I didn’t even think about it, I didn’t even hesitate, I just reacted, complete Roger move right down to saving a priest. I have no idea if Diana Gabaldon or the writers on Outlander use personality typing when creating their characters, but I’m told writers often do look at psychology and social science when researching their writing, it would make sense to do so. If you are writing about humans it would make sense to understand them and help to keep their actions consistent with their personalities. 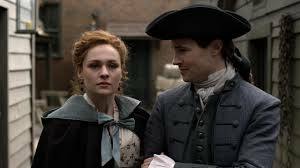 Roger’s attempts to save Moraig and her baby, his willingness to believe Claire, his chosen profession (and future vocation), his ability to find humor in difficult circumstances, and even his fights with Brianna are all consistent with his personality type. I haven’t attempted to type cast any of the other characters, but I recognize Roger’s personality because it so familiar. I feel a little weird saying that because quite frankly, I admire Roger and his convictions. I understand why this episode is called “Providence”, but a part of me believes that “The Deep Heart’s Core” would have been a more apt title for this episode. INFPs and Roger are all about authenticity and make decisions based on what their gut tells them supports their deep heart core values. Researchers suggest they can’t be motivated until they believe something supports that deep heart core and then they are unstoppable, like “a dog with a bone” , “crossing oceans, time and space for love”, etc. Once they have been triggered they will move heaven and earth to accomplish their goal. Roger’s love for Bree and what he is willing to do for that love certainly fits that description. Previous to this episode, Maril Davis, Outlander Executive Producer, commented on Roger’s journey in an article for the Hollywood Reporter. In that article, she talks about the emotional spiral Roger is experiencing in the Mohawk camp. I thought I understood, but wanted to make sure I knew what the article meant by “spiral”. 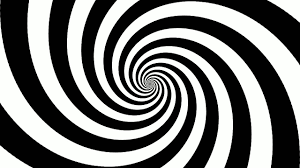 The Urban Dictionary defines “spiraling” as a bout of thoughts fixated on a person or state of affairs. The scenes between Father Ferigault and Roger were so revealing. They showcased Roger’s struggles with his situation and his deep heart’s core. He was indeed in a spiral. How could he not be after all he has experienced? There has been some concern that Roger’s character has not been well-developed or defined this season. I would say that this episode gave us a deep look into Roger’s soul, who he is, and why he makes the decisions he does and why Brianna might love him. Roger believes it is his own foolish actions that have led him to this place and he is feeling cynical about himself and his belief in true love. He calls himself an idiot. He is angry at himself and his inability to look out for his own best interests. 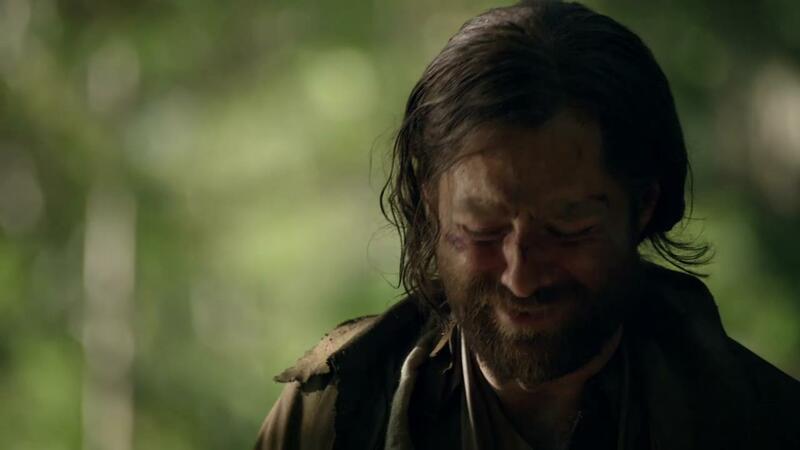 His experience has been beyond painful and the thought that despite what happened the night they were hand fast and what Jamie’s beating him and selling him to the Mohawk insinuates, he still couldn’t end his suffering by touching the stones. Because despite everything he still hopes. He still loves Bree. It is easy to laugh at someone who is fiercely and persistently optimistic, someone who hopes, and gives themselves up to trust in the universe in the foolish belief that they will get what they need in the end. It seems so naive and …idiotic. Roger is scoffing at himself and the absolute mess that his hope in love has made of his life. But, he swears he has learned from his pain. He has changed. He is going to turn his back on love and take his freedom. The advice he gives the Father is good advice . As Roger tells the father to look out for number one because “no one else will” he is also convincing himself it is true. Roger is right, the Mohawk don’t care about the rituals of the church or the reasons the priest holds his vows sacred. He is right when he says they would be satisfied with a few sprinkles of water, the father doesn’t have to truly perform a sacrament, he could escape to live, be forgiven and continue to love and be loved. For awhile, Roger’s impassioned plea for sanity seems to have found a home in Father Ferigault’s mind and heart. But, I don’t think Roger knew who he was speaking to. If he was speaking to another INFP, another soul who is motivated by and lives his life as his deep heart’s core and beliefs dictate, then there is no way to win. The Father goes to face his fate because he cannot do otherwise. When my husband and I watched Roger’s escape and I saw the first signs of his struggle to be “smart for the first time in his idiotic life”, I began to tear up. I knew there was no way he could listen to the father’s cries and walk away. My husband yelled out his incredulity when Roger turned back to Shadow Lake, “What is he doing? He can’t do anything to help!”. I heard Roger’s cursing resignation with relief. I completely understood. He couldn’t do anything else. I didn’t really know what he was going to do either. The obstacles seemed insurmountable and Roger is completely aware how impossible this situation is. 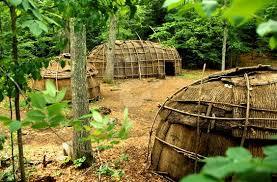 It isn’t that INFPs are blind to obstacles it is that they don’t care whether it is 200 years or a tribe of Mohawk. They are reluctant heroes, but if they feel strongly, are convicted, then they will grab their sword and shield and go to battle. Roger could no more change himself and his beliefs than the father could. He knows that nothing good can come from his running back, but he must. In the end, Roger asks to be taken back to “the idiot hut” believing he has acted stupidly once again and sealed his fate. If he only knew that what he has actually done is prove himself a mercifully brave man whose integrity and motives are pure and unselfish. He has proven himself to be worthy of the very name of love. Jamie is right a man like Stephen Bonnet bears the seeds of his own destruction and freedom cannot be found in vengeance. 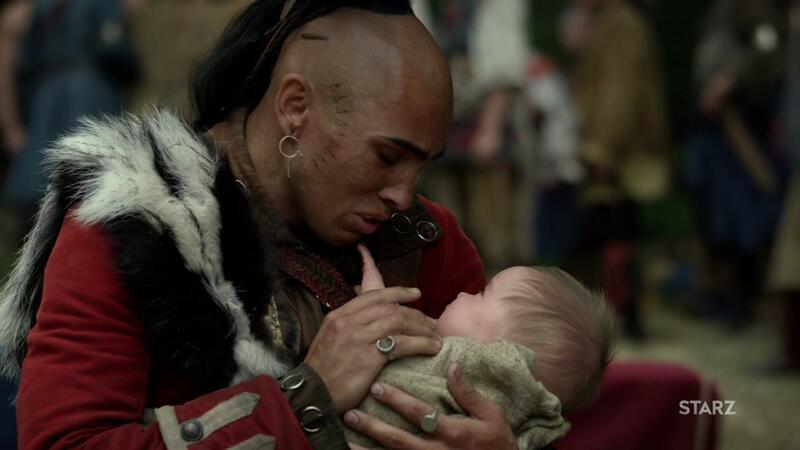 As Lord John gently places his hands on Bree’s burgeoning womb we are reminded that her child is real and deserves to have a mother who can live whole. So, she takes her father’s advice and decides she must at least try to make that happen by saying her “piece” and forgiving Stephen Bonnet. But, Lord the reality. I would have been quaking in my boots and yet angry because I was quaking in my boots and I think like Bree even more determined as a result. If Roger is an example of a man who struggles to put himself first, Stephen is an example of a man who doesn’t care for anyone but himself. He always puts himself and his needs above all others and as a result, leaves a wake of destruction and pain. I was struck by his puzzlement at Bree’s appearance in his cell, his complete lack of understanding. He is remorseless, has no empathy. He seems to mock Bree and enjoys watching her flinch at his crude comments, ever the perpetrator. After he taunts Bree with “I will soon be gone, but not forgotten”, she gets the opportunity to do what I wish every victim of sexual violence would be able to do. She tells him she will have a good life despite what he did to her that he will be forgotten and in essence evil will not win. Free will is an important concept in the Christian faith. God could force us to obey him, to love him, but without the freewill to choose, a relationship with him would not be genuine. Because free will has been granted humanity then finds itself living within a paradox, if men are free to choose they will not always choose good over evil, selflessness over selfishness, mercy over cruelty. Providence is that belief that all things work for the good, that God does not cause the evil acts of men, but that he can use whatever comes into your life whether positive or negative. Believing in God’s providence is to believe that all things work together for the good of those who trust in the Lord. It seems cliche, but it is a truth that in life lessons are most often learned when we do something wrong or have to face a great obstacle. Providence gives us the ability to let go and trust that there is something bigger than ourselves at work, a God who knows you and what you need. When the Mohawk healer touches Kaheroton’s head she reminds us that we have the power to live in peace or war with ourselves and others. We have the free will to choose love, mercy, and forgiveness, and to hold tight to providence. 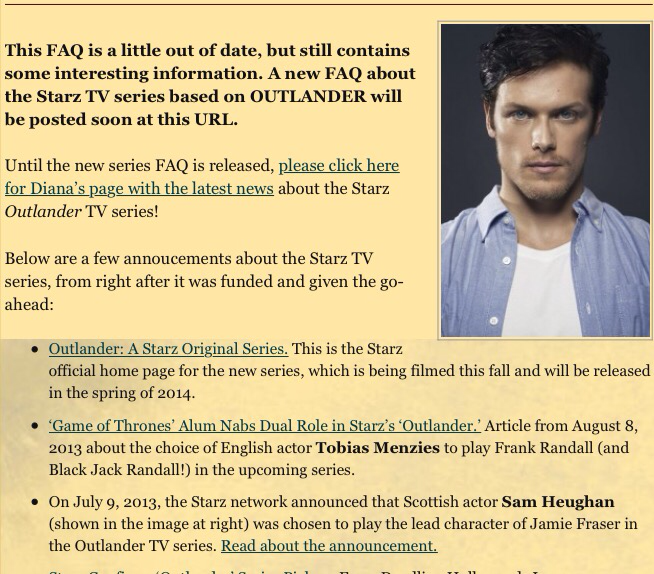 Please during the next Droughtlander – type cast the other characters. I would love to read what you come up with. That young man, Tyler, understands the enormity of God’s love. His belief that our suffering here on this earth does bring us closer to God. He was braver and more courageous than anyone I know. May he rest in the eternal peace of our Lord. Thank you for sharing his story with us. My viewing of this episode took a different slant. It was that both Father Fogden and père Alexandre have difficulties reconciling their heterosexual love and their religious vows. What is your opinion on this point? I so appreciate your thoughtful reviews. You put into words much of what I feel but am unable to express. Thank you. Hi Beth. This episode was such an emotional roller coaster and at times very hard to watch. Bree overcame her misery and reclaimed her future. She refused to let what Bonnet did to her hold her hostage. She showed true courage in facing her tormentor. Roger did the same. He’d given up everything to follow the woman he loved and all it had bought him was misery and pain. He has no idea why Jamie beat him and sold him to the Indians it’s no wonder bitterness was taking over his soul. Everything Roger said to Father Ferigault to make the priest see there was a way out of his situation was logical but didn’t deter the priest from following what his heart told him was true. Roger followed what his heart told him was true by going back to help end the priest’s suffering. He may have thought he was an idiot but he was anything but an idiot. The real horror was the Father’s lover following him into the flames – now that was the ultimate sacrifice for love. When I read stories of people risking everything for a cause they believe in I think of the brave people who risked it all to save Jewish people during WW11. I marvel at their bravery. I would have been terrified but I’d like to think I would have done the same. I’m afraid I wouldn’t have their courage were I in their situation but I’d like to hope I would. This was a gripping saga for Roger that calls for transcendence which in my mind was the igniting of the two lovers – Bravo to the writers! You are there was so much! I have no idea how to ERASE the above comment. ???? If you can do so – please do!! I loved your blog this week. Parts of it made me smile broadly. BTW, I am an ESFP, I think. I went back to ensure that’s what my result was and the site had closed up and I needed to redo the test, and chances are I’d not get it correct. Such insight. I think I might miss your wonderful recaps just as much as the actual show! Well done, once again! Excellent insights as always! Thank you! Thanks for your blog. I enjoy it! Dear Beth, I’m waiting patiently for your take on the Finale. Looking forward to reading your opinion. 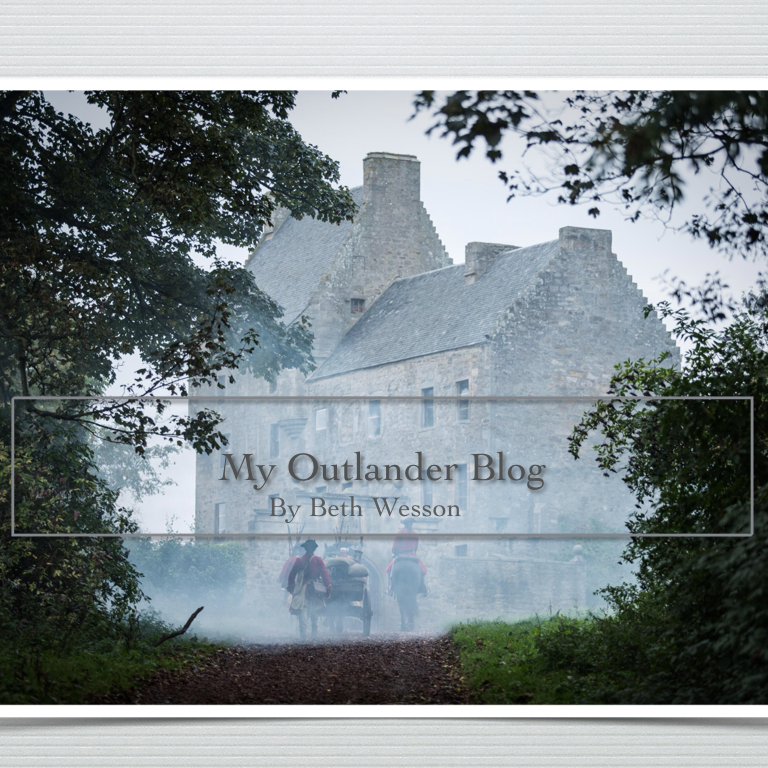 You’re one of the few bloggers I go back to when Droughtlander hits! Beth, I hope you are on vacation and having a good time. Since I have not seen your take on the final episode I began to worry. Hope you are OK!